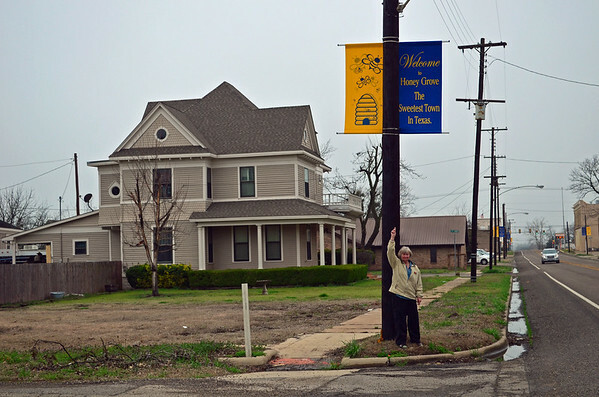 On their way to surprise Michael in Florida, Mary Lou and John Fazel noticed a highway sign for Honey Grove and having heard about the town decided to check it out. Michael’s great-great-great-grandfather Sam Erwin and his bride were married by the Justice of the Peace, Davey Crockett and traveled with him from Tennessee to Texas and founded the town of Honey Grove. The sweetest town in Texas.